The 'original' green range of plastic storage crates and tote boxes - accept no imitations! 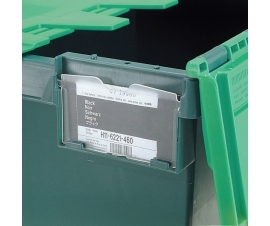 These tote boxes have been well established for many years and can be commonly found within most industries due to their high strength and legacy. A large range of sizes are available. We offer the original two-tone green heavy duty storage crates which have been well established for decades in the marketplace! Due to their high strength and longevity in the marketplace they are well established and popular across most industries and workplaces such as: Manufacturers, hospitals, schools/colleges, distribution centres, hotels, facilities, food processors, events, charities, warehouses, offices and many more. This range of industrial strength green totes stack and nest inside each other with hinged lids open (when empty), saving you valuable storage space when not in use. You may notice a couple of black crates within this green range. These black plastic crates are made from strong recycled plastic and are produced from the same tools as a couple of the models within this range (54 litre and 64 litre). The black plastic crates are fully compatible (stacks and nests) with their virgin plastic alternatives as well as being more environmentally friendly and lower in cost.